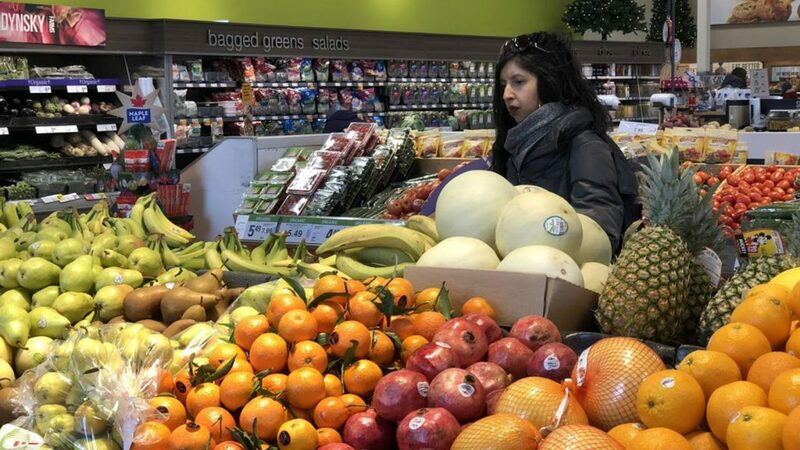 About four in 10 Canadians surveyed by the Canadian Centre for Food Integrity say they're "personally concerned" by the amount of food being wasted each year [Photo © Maan Alhmidi]. One third of Canadians believe that the main cause of household food loss and waste is “buying too much food,” according to a study released by the Canadian Centre for Food Integrity. According to the National Zero Waste Council, consumers account for nearly half of all food waste in Canada, processors account for 20 per cent, retail stores 10 per cent, farms 10 per cent and restaurants and hotels account for nine per cent. Half-eaten sandwiches and leftover spaghetti bolognese don’t always turn into food for animals. Wasted food means higher garbage costs and growing greenhouse emissions. They can have significant environmental, economic and social consequences too. All that waste costs the Canadian economy up to $100 billion annually. The research from the Canadian Centre for Food Integrity shows that half of Canadians are looking to government to cut food waste. “There is definitely an appetite for government to play a role,” says Ashley Bruner, research manager at the centre, in an email. More than anything, she said, people are looking for tips to help reduce food waste and to learn how cutting waste can save them money. The 2018 web-based survey was completed from July 13-19 by 1,509 respondents who reflect the general Canadian consumer population aged 18 or older. This is the first year the centre has conducted the survey. “In the future, we plan to continue to track these questions in order to measure progress and change.” Bruner said. For tips on cutting out food waste, consumers can visit the Canadian Centre for Food Integrity’s website, Best Food Facts. I am shocked that left-overs are put into the garbage. We older folks were made to eat what was not consumed in one meal to be incorporated into another meal. Mom served our portions to ensure some for another meal with perhaps a salad or other vegetable to fill out the servings next day. Or the soup pot incorporated the left-overs into a delicious concoction of flavours. The worst shock is the way packaged (not the perishable foods) are put by stores into the garbage because they have reached the “best before – meaning flavours have reached their peak but the safety is still good – date. These goods are safe. They often have enough preservatives in them to last another few months. Health laws must be changed to state “use by” so that these goods which have consumed so much labour, water, transportation fuel and packaging are not just put into the garbage. What is wrong with stores ordering less product and running out sometimes? We do not need to see full racks and shelves. We do not need 24 hour open stores. We DO need to plan ahead and be more conservation-conscious or our rapidly-declining land which produces the food will disappear with droughts and floods and inconsistent weather from climate change that we will all starve.